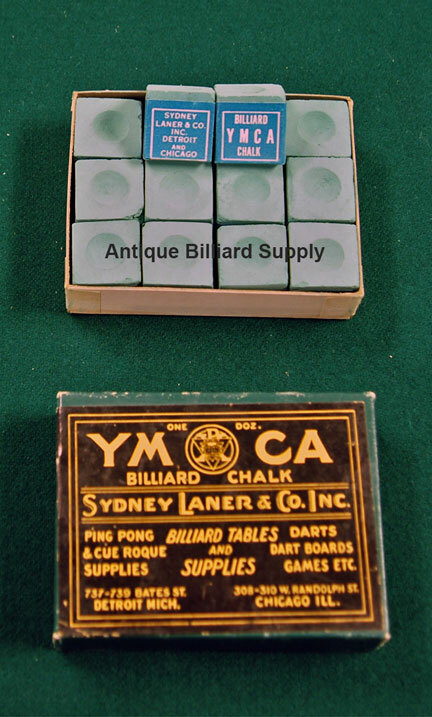 #10-10 Unused box of 12 pieces of YMCA brand chalk by Sydney Laner and Company. Manufactured in the early 1900s. Each piece is printed on all four sides as shown.